Grave / Reference: E. 4. 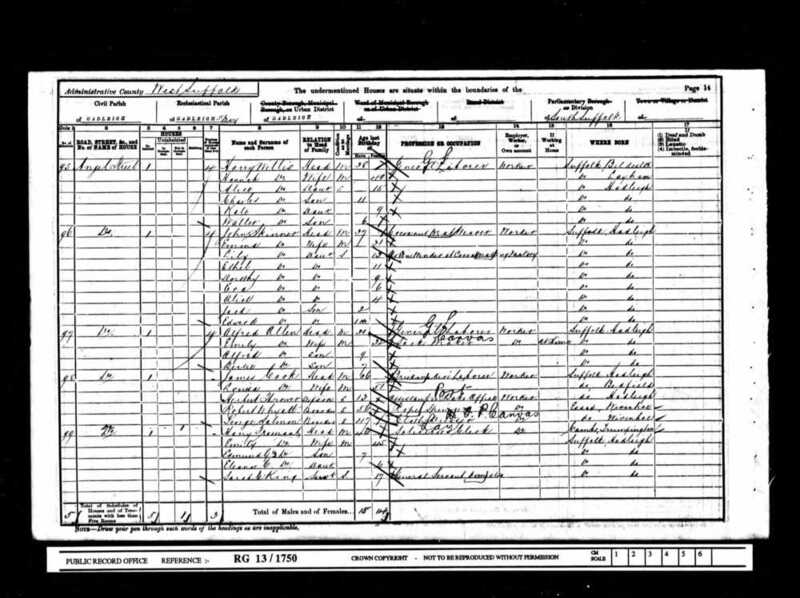 Relatives: Only son of Harry and Emily Fromant. 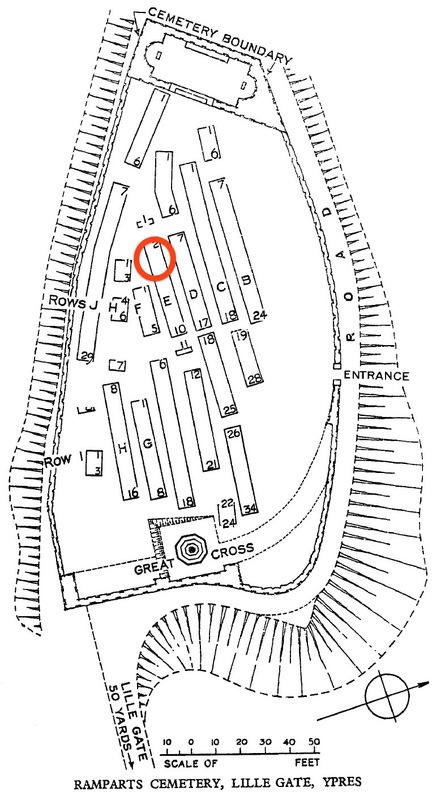 Address: 145 Angel St. Guthrum House, Hadleigh, Suffolk. 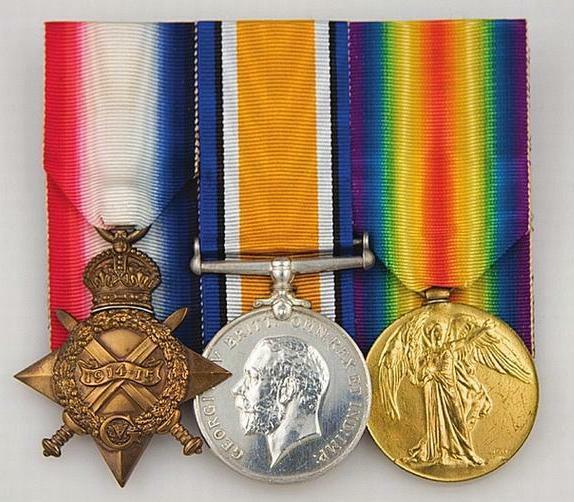 Private Edmund Fromant was entitled to three medals; the 1915 Star, the British Victory Medal and the British War Medal. 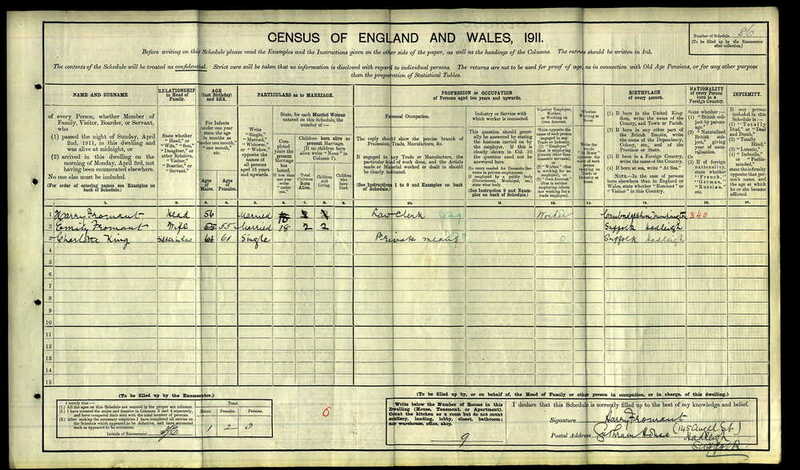 It is unclear when Edmund enlisted but it was probably at the outbreak of the war. 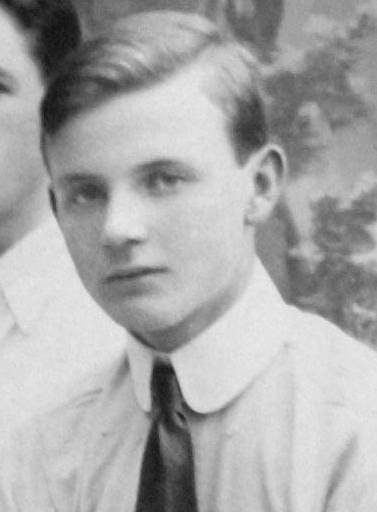 He may have been working or studying in London at the time, because we know he enlisted into the Royal Army Medical Corps in Chelsea and served with the 15th sanitary section, 1st City of London Sanitary Company. He entered the war on 15 January 1915 and would have played a key role in trying to maintain an healthy environment for the troops. The constant enemy bombardments were gradually reducing the city to a pile of rubble and destroying all the vital infrastructure. The maintenance of hygiene was critical in order to sustain the war effort and Edmund's unit would have had a vital role to play. In memory of Pte EGD Fromant. 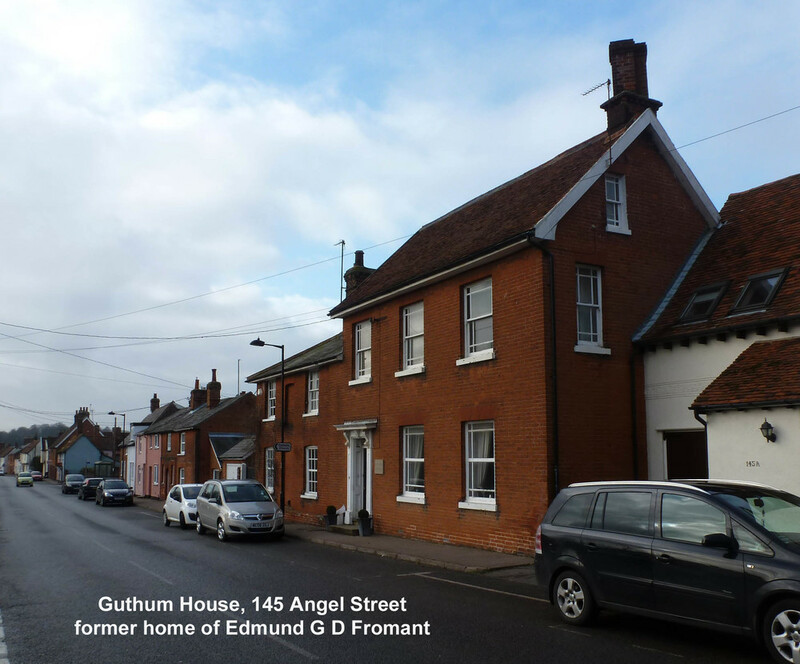 Private Edmund George Dawson Fromant was born in Hadleigh in 1893 and his father was a solicitor’s clerk living at Guthum House, 145 Angel Street. Edmund was a Professional Associate of the Surveyors Institute and a Probationer of the Royal Institute of British Architects. He entered the war 15 January 1915 and would have played a key role in trying to maintain an healthy environment for the troops. The constant enemy bombardments were gradually reducing the city to a pile of rubble and destroying all the vital infrastructure. The maintenance of hygiene was critical in order to sustain the war effort. 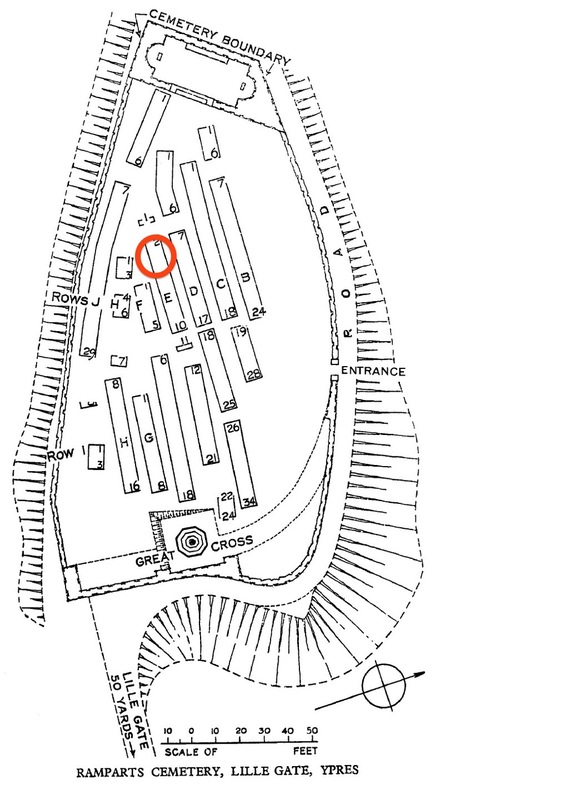 Sadly, Edmund was wounded during one of the many enemy bombardments and he died of his wounds in hospital on 16 March, his body is interred in Ramparts Cemetery by the Lille Gate in Ypres. The Ramparts Cemetery by the Lille Gate in Ypres is a beautiful cemetery that overlooks the medieval moat that surrounds the town. As well as being remembered on Hadleigh’s War Memorial and Roll of Honour, there is also a brass plaque (pictured left) dedicated to his memory in the south chapel of St Mary’s church. It appears from the Medal registration cards that he was incorrectly issued the 1915 Star twice. The second issue was returned. The current whereabouts of Edmund's medals is unknown. 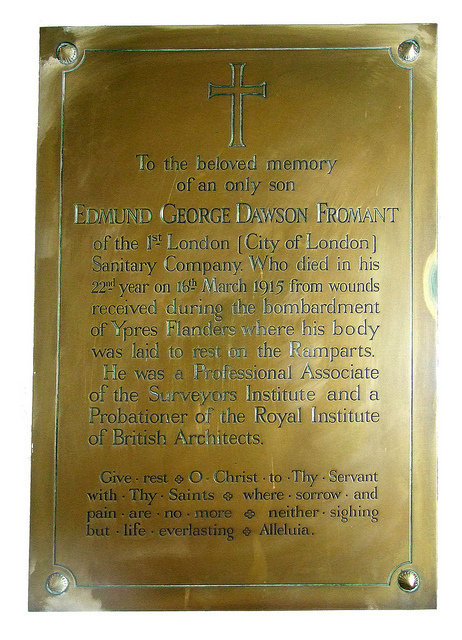 We hope that this page has been able to tell the story of Edmund Fromant. If you know of any information which might help to add to the story then please get in touch.